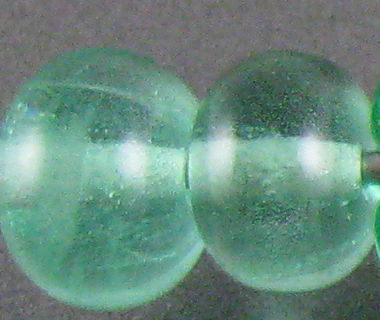 CiM Siren (CiM463) is a pretty, pale teal green transparent colour. Siren is, huewise, right between Effetre Pale Aqua and Pale Emerald, although it is more saturated than either of those. Siren is not very reactive with silver. Silver leaf on top of Siren disperses and continues to look silver. Siren does not turn silver foil yellow when it is used to encase it, and if you reduce and encase silver on top of Siren, it looks greyish, with blue pockets where there are gaps in the silver layer and the Siren peeks through. 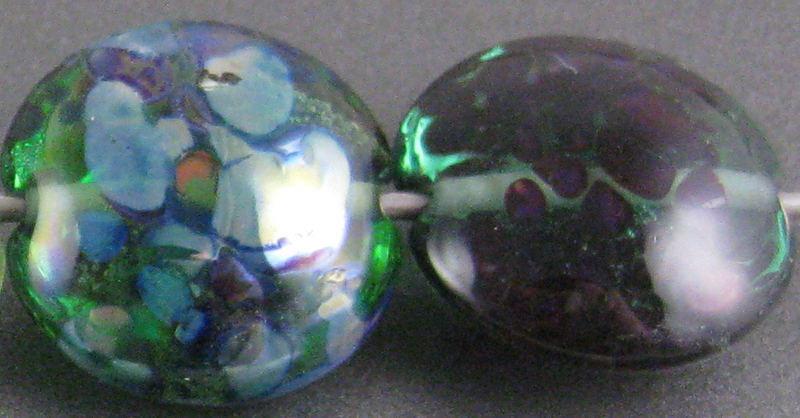 My tests with silver glass and Siren didn't yield any remarkable results. 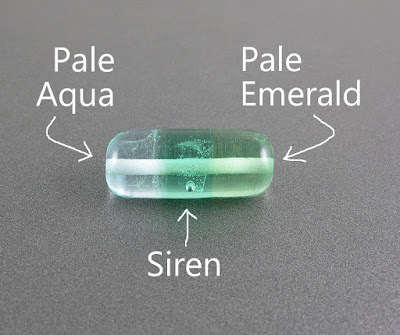 On top of Siren, Copper Green separates and definitely develops that army green patina that it is famous for, both on top of and underneath this colour. It also is pinkish in appearance, as though something in the Siren drives the Copper in Copper Green closer to the surface. Opal Yellow separates fairly dramatically on top of siren, developing a thick, lighter outline to dots and stringer lines. This happens to a much lesser degree with Ivory and Peace. I got a weird grey scumminess in the dots and stringer lines I made with Siren over my other test colours. I'm not sure why that happened, but it is similar to the greying that I have sometimes had with Rubino Oro or CiM Peace. Possibly my flame was a bit on the reducing side, or I was working a bit too hot for this colour's comfort. 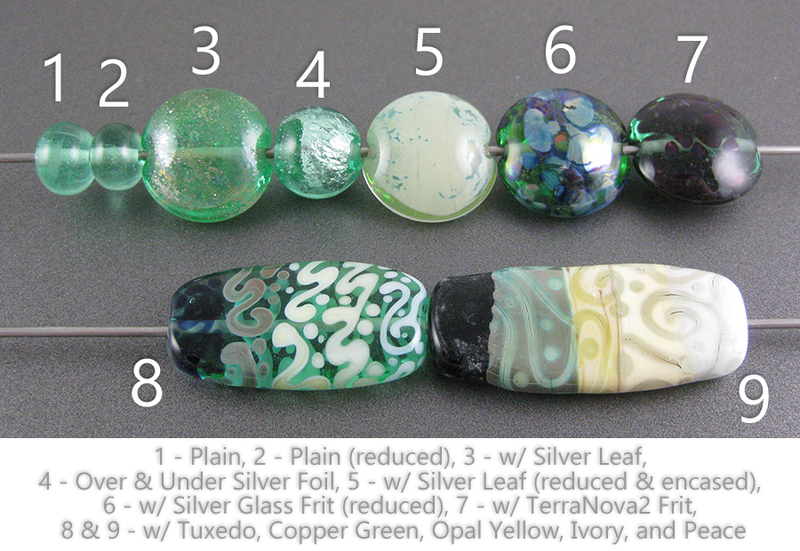 I didn't make any other beads with Siren, but if I do I will come back and add them.